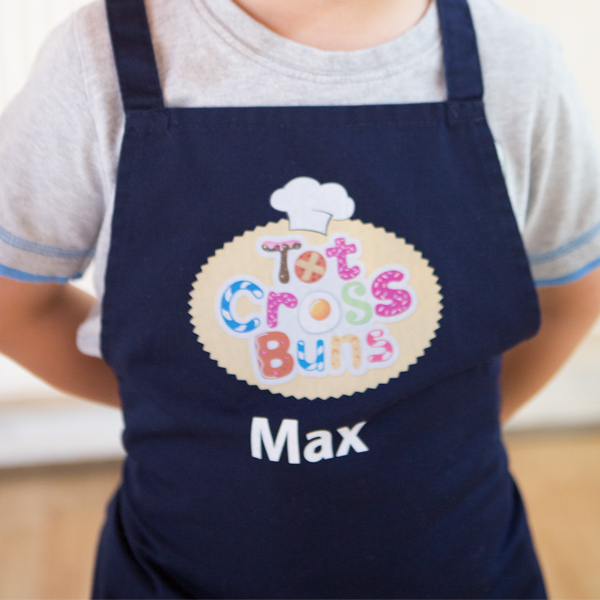 Buy a Tot Cross Bun apron to really look the part. The aprons come in lots of different colours and look very stylish and smart with our fun logo on. They are available in 3 different sizes and can be personalised too. Don’t forget mummy, daddy or, even, nanny or grandad can also have their own aprons!